Aalto University Executive MBA program is now available in Tehran through an exclusive partnership with the Iranian Business School. This is the first global accredited EMBA program in Iran. Rouzbeh Pirouz from Iranian Business School (IBS) is excited about the new co-operation. The Aalto EMBA program, ranked among the top 100 Executive MBA programs in the world by the Financial Times, has now been brought to Iran through an exclusive partnership with the Iranian Business School. Pirouz says they are impressed by the international standard and approach of Aalto EE. Pirouz himself is a Senior Partner at Pelican Partners, a private equity and real estate investment firm in London. He has been at the forefront of developing world-class management education institutions and programmes in the Middle East. He is a Trustee of several UK charities and was named the Young Global Leader by World Economy Forum. He received his undergraduate and post-graduate degrees at Stanford University and Harvard University. Pirouz says that the two teams from Iran and Finland are working together extremely well. He sees that the two countries have many things in common when it comes to education. Iran is a huge market with a relatively young population (64 per cent of citizens are less than 35 years of age). It is said to be one of the last major emerging markets in the world. The Aalto EMBA is offered to entrepreneurs, senior-level executives and individuals with significant professional experience. The modules are structured around for the four key areas of strategy leadership, finance, and marketing. Participants will acquire globally applicable, multidisciplinary competencies based on the latest theories, principles and business practices. Finland’s Ambassador for Tehran Harri Kämäräinen has followed the building of the partnership between Aalto EE and IBS from up close. He considers their co-operation to have a strong foundation: both countries’ interest and investment in education. According to Kämäräinen, Iran and its government recognize that the country has much to improve, particularly within business leadership education. This is why cooperation comes at a welcome hour, he evaluates. Especially British universities have cooperated with Iranians for a long time. “Iranians have sent students abroad, and they have returned to Iran afterwards. Education has taken place outside the country”, Kämäräinen states. Iran has for milleniums been at the meeting point of different cultures. Connections to the East and West have been upheld throughout history. Kämäräinen reminds of a rather surprising fact. There is practically only one state between Finland and Iran through the Caspian Sea: Russia. Kämäräinen says that the Middle East is a significant region in terms of economic development. Iran has nearly 80 million consumers and a high purchasing power. Iran has made Western headlines mostly in major power politics. The cinema, literature and music of the country are slowly becoming recognized around the world. Iranian culture dates back thousands of years. “Finland has a good reputation in Iran and its high level of education is esteemed. In Finland, Iran is relatively unknown, except on a superficial level”, Kämäräinen evaluates. The Director for New Ventures in Aalto EE is Miia Viitanen. She says that Iran is a highly tempting and interesting market region for Aalto EE. 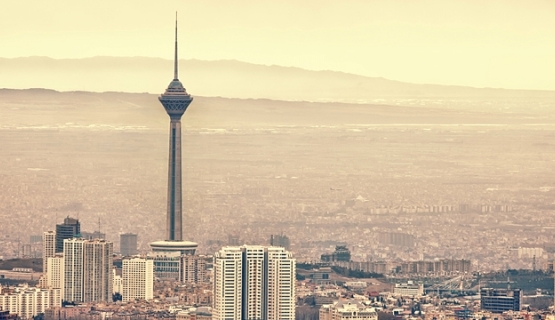 Aalto EE will set a promise for Aalto Executive MBA graduates in Tehran to reshape the Iranian corporate landscape in a positive and sustainable manner. The Iranian Business School (IBS) is a not for profit institute founded in 2007 in Tehran. The School’s singular goal is to hone raw entrepreneurial talent into expertise that will create a generation of business leaders equipped for a role on a global commercial stage, and hence able to revitalize Iran’s economic landscape in the 21st century.